Florence Lanyon, daughter of William and Eliza Lanyon, of Falmouth, who passed away to her eternal rest on September 8th, 1906, was from a little child inclined to religion. This no doubt was attributable to two things, godly parentage, and a good Sunday school teacher. Hence in early life, she avowed herself a follower of Jesus Christ. Nearly three years ago, as the result of a severe chill, Florrie began to show signs of decline. After a time she rallied somewhat, and her parents and friends were hopeful of her recovery. The respite was not for long. The seeds of consumption were already sown in her constitution, and gradually the dear girl was showed signs of wasting and decay. Yet she murmured not, but was gentle as a lamb, for she truly trusted and loved the Saviour of mankind. My predecessor and I often visited her, and found her hopeful and grateful. She remarked to the writer, more than once, that her life was prolonged in answer to prayer. When she knew that she could not recover, it caused her no alarm. She could say “heaven is my home.” Real goodness often begets admiration, and so in her case, being truly good, she was greatly loved. On the morning of her decease she touched her father, who was by her side, and pointed with her finger. “What do you see?” he asked. “Is it heaven, dear? Said the mother. Then a beautiful smile and sign told both parents it was heaven she was permitted to catch a glimpse of. The smile did not die away, but when her happy spirit peacefully passed beyond the skies, it was on the face of death. 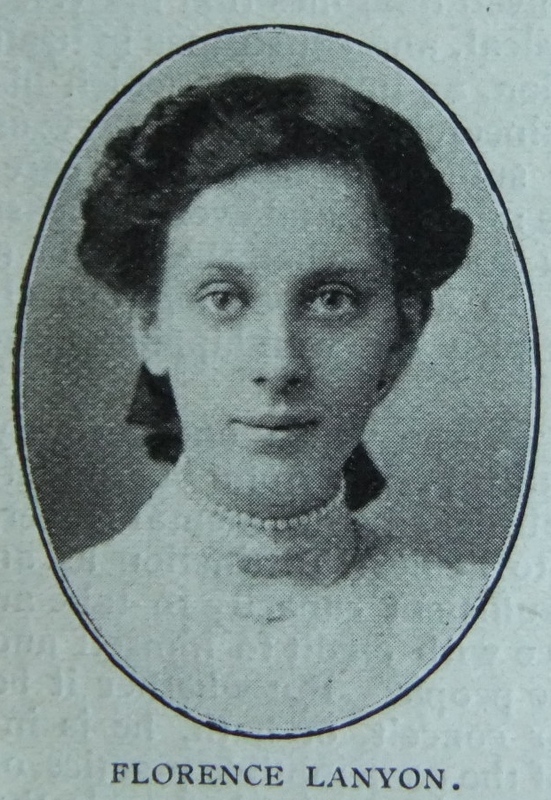 Thus at the age of nineteen this saintly young Christian “was not, for God took her.” Fellow scholars carried her from the hearse to the grave, favourite hymns being sung both at the service and place of sepulture, where many floral tributes were seen, showing the respect and esteem in which she was held. On the following Sunday evening, before a large and sympathetic congregation, the write preached a memorial sermon from Rev. xiv. 13, and urged all present so to live as to “ensure a lot” among the glorified ones in heaven. Florence was born in 1887 at Falmouth, Cornwall to parents William and Eliza. William worked as a farmer. Florence was one of thirteen children, two of whom died before the 1911 census. William and Eliza, with some of their children, emigrated to Canada in 1912.